Deciphering Car Insurance - Yetter Insurance Agency, Inc.
One of the biggest milestones young Americans reach is when they earn their driver’s license. It represents the freedom to go wherever and whenever you’d like. As many drivers have learned by now, cars often come with a lot of obligations and rules to follow. Car insurance is one necessity that can feel very burdensome, especially when it comes time to pay for it each month. The frequently eye-watering costs and confusing types and quantity of policies explain why the Insurance Research Council estimates that 14 percent of the driving population in America is uninsured. At Yetter Insurance, we work with you to determine your auto insurance needs and personalize your service to bring you the protection you deserve at the best value. There are several criteria that go into our assessments of how much coverage you should purchase. Every one of the 50 states has its own rules on car insurance. Depending on whether you live in Pennsylvania or New York can dramatically change your the kind of auto insurance you must have. Liability coverage helps cover the costs of any victims’ injuries and damages that result from a car accident that you caused. Pennsylvania requires $15,000 per person and $30,000 total per accident in bodily injury liability coverage. State law also requires $5,000 in property damage coverage. Additionally, the state requires that you purchase a minimum of $5,000 in medical benefits coverage. New York, on the other hand, mandates $10,000 for property damage for a single accident, $25,000 for bodily injury to one person and $50,000 for bodily injury to all persons involved in an accident. Another difference between New York and Pennsylvania requirements is that only drivers who are registered in New York must buy at least the minimum limits of uninsured/underinsured coverage. This is to protect yourself in case you are involved in an accident with someone whose insurance is inadequate. Not having this coverage means that you will have to pay for all damages incurred by the other driver. Although uninsured/underinsured motorist coverage is not required in Pennsylvania, it is recommended by our agency. Finally, it is important to understand the no-fault laws in both states. New York regulates that each driver involved in an accident will be covered by their own insurance policies for any damages suffered. In order to avoid such potentially costly civil suits, all drivers must carry $50,000 minimum in basic no-fault insurance coverage. In contrast, Pennsylvania mixes the no-fault system with tort or “at fault” law. Policyholders have two options: a limited right to sue, or the full right to sue for medical costs and pain and suffering. The limited tort option allows you to sue for all medical costs incurred from a car accident. This option comes with a cheaper premium but will limit your right to sue for pain and suffering. In both states, other types of coverage like collision and comprehensive are not required; however, they are probably worthwhile for you. 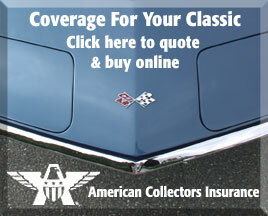 Collision insurance will help pay to repair or replace your car if it’s damaged in an accident. Comprehensive insurance covers damage to your vehicle not caused by a collision, like weather events, animal damage, vandalism, or theft. If your area has a high rate of any of those factors and you likely could not afford to replace or repair your car in such incidents, you should consider collision and comprehensive coverage. Also, if you are paying for your car with a loan or you are leasing it, your lender or leasing company likely will require that you buy such coverage. Driving fewer miles a year than the average driver means the potential for cheaper car insurance rates—and can affect the amount of coverage you want your policy to include. The less you drive, the lower your chances of getting into an accident. Being less likely to get in an accident means that you are less likely to have to pay out-of-pocket for damages that exceed your policy limits. Getting in an accident where you cause bodily harm to another person can wreck your finances. The amount of liability coverage you carry should be high enough to protect your assets in the event of an accident. In the event of serious harm inflicted upon the other driver, you may be sued for a large amount of money. The greater the value of your assets, the more you stand to lose. To get a rough idea of your net worth, calculate how much it would cost to replace everything you own. Most experts recommend a coverage limit of at least $100,000/$300,000, but that may not be enough. Buying more insurance than you’re required to may seem like an unnecessary expense, but it’s important to educate yourself about the options available for car insurance. Becoming a well-informed consumer will protect you and your wallet.